Camping and traveling from place-to-place is an traditional pastime enjoyed by many. Getting everyone loaded up in the RV and preparing for those weekend excursions are memories that last a lifetime. Regardless if your with kids, partner, or riding solo, RV parks are a traveler’s oasis, offering comfort and security when you need it most. In this article, we’re going to be taking a look at some of the best RV parks in Texas, Florida, and Arizona. Before enduring hundreds (if not, thousands) of miles of driving, we’re going to highlight what sets these parks apart from the rest so you have an idea of where to set your sights next time you’re in the area. RV parks have been around for decades, offering their services to those passing by, or folks aiming to set up and relax for extended periods of time. Recreational Vehicle parks (RV parks), are destination spots designed for travelers to stay for variable places of time while on the road. Don’t be confused by the name though, RV parks also host guests who wish to camp in tents. The biggest difference between tent parks though is that, RV parks offer a range of amenities. Due to the rise in popularity among full-time RV living, parks have increased in size and expanded their scope of services to ensure guests are welcomed with respect. What Makes For a Great RV Park? Before the internet, information was limited, and uncovering details about parks in advance was more challenging than it is today. Luckily, travelers now have the ability to check ahead of time to see if the park they plan on visiting has all the amenities needed. While a majority of RV parks offer generally the same services, it’s best to identify what makes for a great RV park before planning any future trips. Very rarely will you encounter an RV park that doesn’t include water hookups. 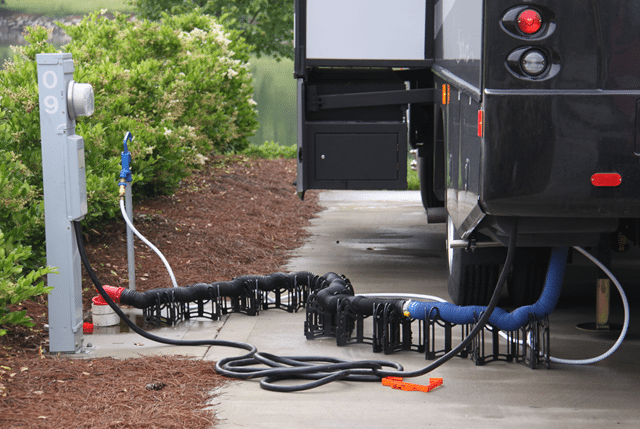 Being that tank space is so limited on a variety of RVs, having a water hookup will ensure you can use outlets such as your sink, shower, or hose. Should the park not have hookups for water, be conservative in your water consumption and plan accordingly. Having the ability to properly dispose of your waste is a pleasure not everyone has. While traveling, having this option can alleviate capacity crises and help ease your trip. Not having sewer hookups surely isn’t a make it or break it deal, but this feature is a great add-on. Looking for a new sewer hose? Check out the top rated sewer hoses here. RVs require a lot of power to be functional and operate. While staying at a certain location for extended periods of time, having a power connection is critical. In addition to enjoying a more luxurious experience, having heat or keeping your refrigerator and freezer cool are a must. Many RV parks nowadays have options for power hookups, so just be sure to prepare in advance and reserve your spot ahead of time. Let’s face it, we live in the tech age and having Wi-Fi is nearly a normal part of life. While some may not be on board when camping (which is perfectly fine) many enjoy having the luxury of streaming movies, listening to music, or catching up on work emails. Due to the increase in demand over the years, many RV parks have started to offer Wi-Fi hotspots and help guests stay connected. Now we’re going to switch gears and focus on the top parks that made out list for each state. With this, we’ll be discussing the amenities that are offered per each park and why guests have loved them. In the United States, one of the best states for RV parks is the Lone Star state of Texas. In this section, we’re going to outline the top RV parks along the Gulf of Texas. The first park on our list is Loyd Park, located in Grand Prairie, Texas. There are 221 sites available and all are perfect for either an overnight pit stop or week(end) stay. This park is kid friendly, offering a pool and playground, as well as many basic life amenities. Although the park does not feature Wi-Fi, Loyd Park has electric hook ups (30 AMP, not 50 AMP), and a dump station for sewer. The only downside we found is that there is an extra parking fee of $10 per motor vehicle, which can be burdensome if you travel in large groups. However, there are pull-thru sites for those with larger RVs. Located along the Texas gulf in Galveston, Texas is Dellanera RV Park. Totalling 65 sites available to those who pass by, this park also offers full hookups (30 AMP and 50 AMP), water, sewer, showers, and laundry amenities. This park is ideal for those who like to work on the road being that it offers WiFi and internet connectivity. For those who travel as a family, Dellanera RV park also offers a playground and is overall very kid friendly. 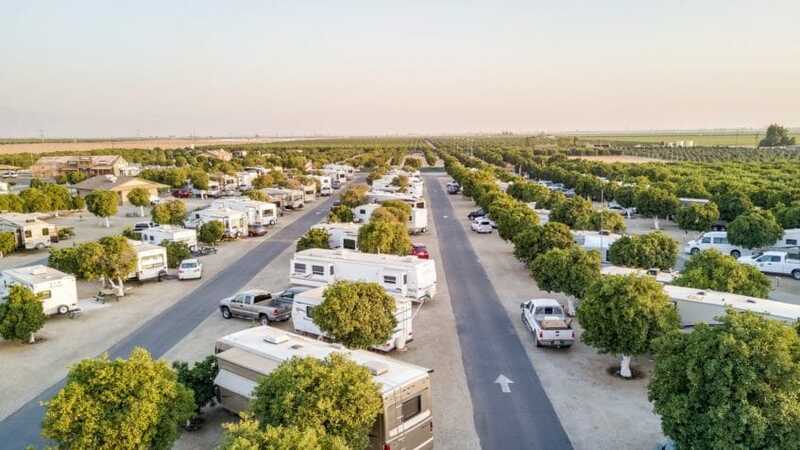 The only drawback we found to this RV park is that the sites are very tight and may be challenging if traveling in a large class A motorhome or bus. Galveston Island RV Resort is next on our list in Texas. Located along the gulf, this park features 116 sites, Wi-Fi, full hookups, and basic needs such as water, sewer, shower, and laundry services. One of this great features to this RV resort is there are extra recreation activities to enjoy, such as horseshoes, a playground, fishing, and even a pool. On site, there’s also a general store for those little last minute items you may need, as well as propane. The only drawback we discovered while reviewing this park is that basic WiFi may be slow at times, but you can upgrade to high speed for an additional weekly fee. Located in one of the most southern parts of Texas, South Padre Island KOA is a kid friendly park, perfect for summer excursions or winter getaways. They feature a year-round pool, a dog park, Wi-Fi, and full hookups for basic amenities. Pull-thru sites are available for those who travel with larger RVs and may require extra space. This KOA seems to have everything. Guests can enjoy horseshoes, workout facilities, play at the playground, or watch basic cable when it’s time to wind down and relax. After reading through reviews, a common drawback noted by recent visitors is that the park is a little dirty in areas. Don’t let this be a deterrent though, this is a top of the line KOA. 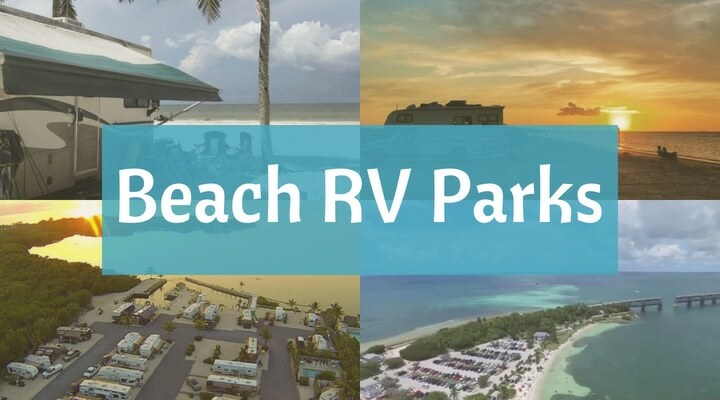 Now that we’ve highlighted the best RV parks on the beach in Texas, we’re going to shine light to a handful of parks in Florida. The RV parks we’ve selected all offer unique perks to those who stop by, and are well-known by travelers. Let’s take a look as to why they made our list and what you can expect while visiting. Bahia Honda State Park may be considered one of the best beaches in Southern Florida and offers a diverse array of activities for entertainment. Located along the Gulf of Mexico and the Atlantic Ocean, this park is perfect for fishing, swimming, snorkeling, and relaxing. Those who camp at Bahia can expect their site to include water hookups, electricity, a picnic table, and grill. With this, the maximum RV length is 50 feet. Be sure to book in advance as this is one of the most visited parks in Florida. Another popular park in Florida is Anastasia State Park, located in St. Augustine. With a total of 139 sites, visitors can take their pick from an assortment of activities. From hiking, to kayaking, to even bird watching, masses are drawn to partake in the activities offered. One of the greatest benefits is that those in need of sewer hookups can utilize the communal dump station, free to those in need. All sites feature an in-ground grill with a fire pit ring, water, and electricity. However, keep in mind that the maximum RV length is 40 feet at Anastasia State Park. 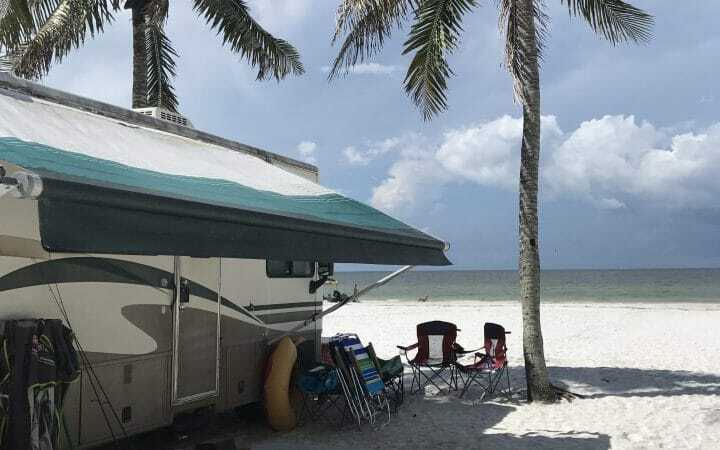 With over 6000 feet of beautiful shoreline, Henderson Beach State Park is the third park on our list for the best RV parks on the beach in Florida. There are 60 sites available, both pull-through and back in, and all but two feature 30 and 50-amp hookups, water, picnic tables, and grills. While there are no sewer hookups at sites, Henderson Beach does offer a central dump station for visitors. This park is pet friendly and general amenities include washer and dryers (coin operated), and showers are offered in the bathrooms. Sites are designed to fit RVs up to 60 feet. Red Coconut RV Park also made our list as another gorgeous place to rest up after the sun goes down. Offering 450 feet of shoreline, visitors can pull up and enjoy views while sunbathing, swimming, or playing a round of golf at one of the nearby courses. Sites come with full hookups, LP gas, and basic cable and internet. Although streaming services such as Netflix and Hulu will not function at Red Coconut due to a reduction in nearby user’s access, guests can still check-up on emails and stay connected. Red Coconut also features a clubhouse where they host communal holiday dinners, weekly pot luck dinners, and pancake breakfasts. 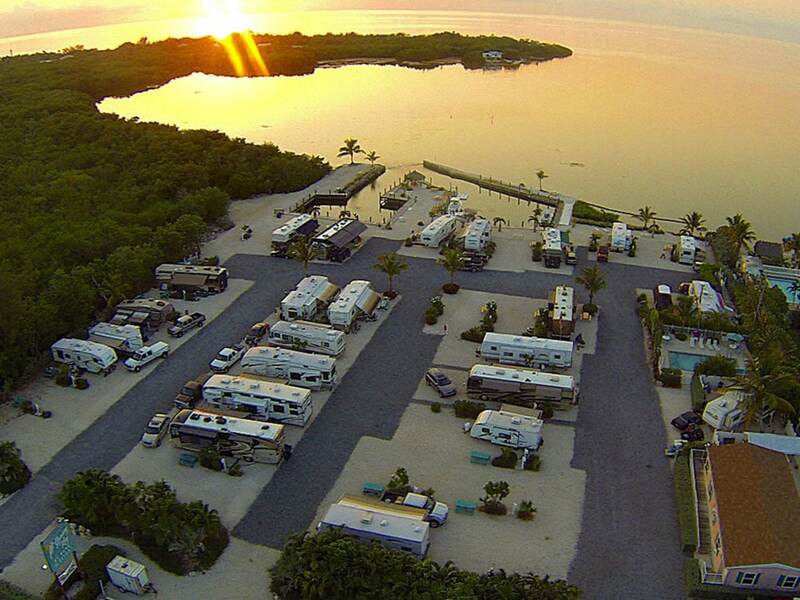 The final park we want to highlight in Florida is the Grassy Key RV Park and Resort in the city of Marathon. Not only does this park offer beach access to visitors, but guests can also take a relaxing dip in the pool. All sites feature water, sewer, and electric hookups (both 30 and 50 amp), as well as free Wi-Fi; self-serve laundry is also available. If you’re traveling with a boat, rest assured as the Grassy Key RV Park & Resort has a newly renovated dock so people can cruise crystal clear waters. The last few RV parks on our list are located in the Golden State of California and come with a plethora of nearby activities and amenities. California is well-known for its unique culture, breathtaking views, and diverse settings. It’s almost as if this magical state was made for travelers and those living the RV lifestyle. Let’s take a look at the top parks and what makes them stand apart. The first Californian destination is Sonoma Coast State Park. Comprised of several places to camp, all of which offer a variety of access points to the beach, two of the more popular spots are Wright’s Beach and Bodega Dunes. Although hookups are not available at either, these sites offer one of a kind views and comfortable amenities. Maximum size at Wright’s Beach is 27 feet while the max at Bodega Dunes is 31 feet. Be sure to keep in mind that Wright’s Beach does not feature portable water filling areas. Because of this, guests are encouraged to fill their tank up prior to arriving to ensure their stay is hassle free. Located in Playa del Rey, Dockweiler RV park allows guests to visit the Californian coast and enjoy views that range from Malibu to Catalina. Sites offer full hookups, picnic tables, and grills, while the park itself features a pump-out station for sewer, washers and dryers, and showers. When the time comes to have fun, Dockweiler guests can play at one of the nearby volleyball courts or grab their surfboard and hang ten. Be sure to bring your wetsuit as non-summer seasons can bring brisk waters. The maximum size of RV permitted per site is 40 feet and we should note that there’s no tent camping allowed. One of the best features to this park is that visitors can have fires on the beach (weather conditions permitting). Nothing better than some smores after the sun goes down. Located in San Diego, Chula Vista RV Resort is a mint destination with ample amenities and nearby attractions. Some of the popular attractions located on-site are the pool and hottub, workout room, tiki bar, which is complemented by a fire pit, and a delicious restaurant named Galley at the marina. Additionally, the location make it an ideal pick for families, being that Chula Vista is near the San Diego Zoo and SeaWorld. With this, Legoland, Universal Studios, and Disneyland are less than 2 hours away. Be sure to visit their website for information regarding availability and detailed site information. 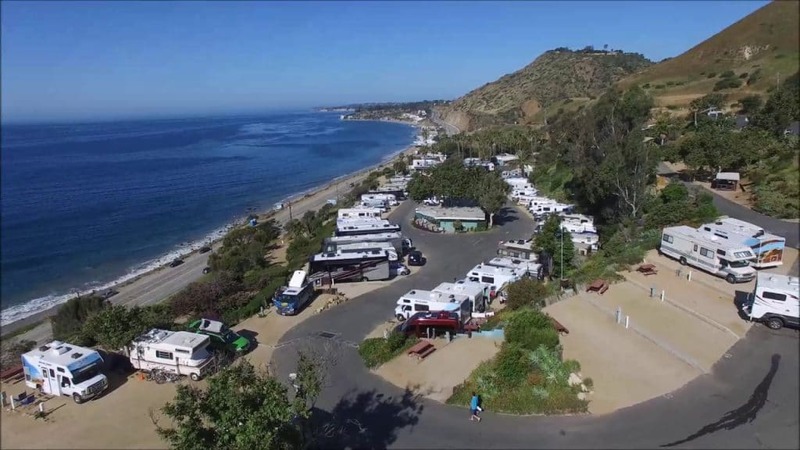 We couldn’t make a list of the best RV parks on the beach without mentioning one in Malibu. 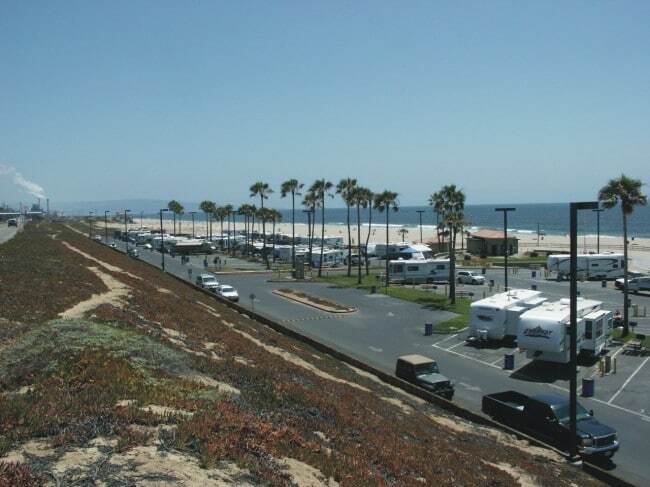 Malibu Beach RV Park is located along the Pacific Coast Highway and is a perfect spot to setup and relax. Whether you’re passing through or making it your destination, this park is plush. They offer propane services, limited Wi-Fi access, laundry services, and bathrooms with heated showers. If you’re with a group who enjoys beach activities or you personally enjoy them, Malibu Beach is a top pick for body surfing, fishing, and swimming. Additionally, guests are encouraged to bask in the views as they may get the opportunity to see some beautiful wildlife. Whale watching is best during March, April, October, and November. You can also see dolphins year round! For more information regarding rates and hookup amenities, visit the Malibu Beach website. The last great destination in California is Bodega Bay RV Park. Since the park’s inception in 1967, visitors have been rallying to partake in breathtaking views, scenic landscapes, and diverse outdoor activities. With 78 sites available, 58 offer full hookups, and a majority feature partial. The maximum RV length permitted is 60 feet and just under half of the sites are pull-through. Nearby, there are a variety of trails to hike on, as well as a dog park, and a mini putting green. For those who travel and work, there is free Wi-Fi and and laundry services on site. 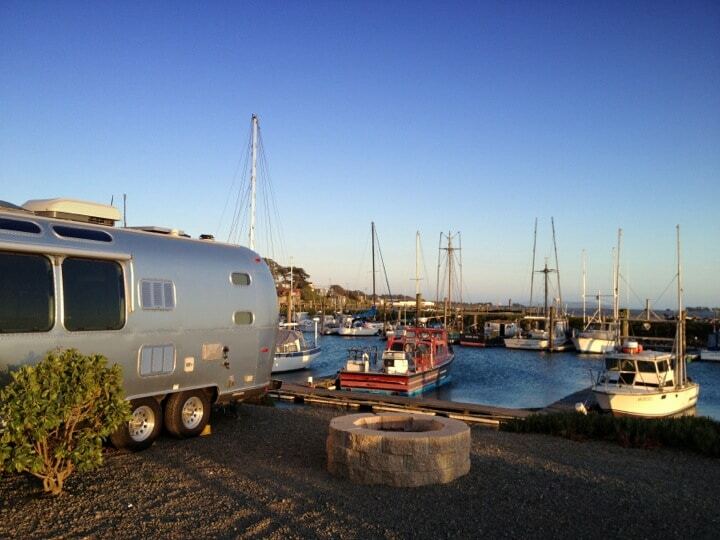 Bodega Bay is the perfect spot for families and folks who are retired and live a life on the road. Whether you’re an avid RV-er or are looking for a weekend excursion, finding a park to suit your needs is essential. It will make your experience much more memorable and ensure your stay is headache free. 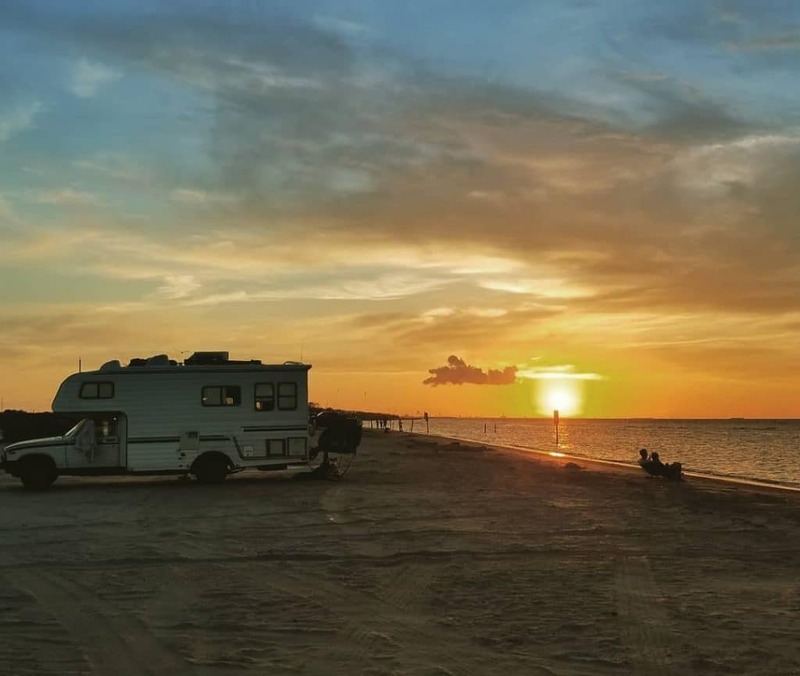 We hope this review of the best RV parks on the beach has helped highlight some of the top parks in Texas, Florida, and California. If you’ve stayed at one of the parks included on our list, be sure to drop a comment below and let us know about your experience. We’d love to hear from about your stay!